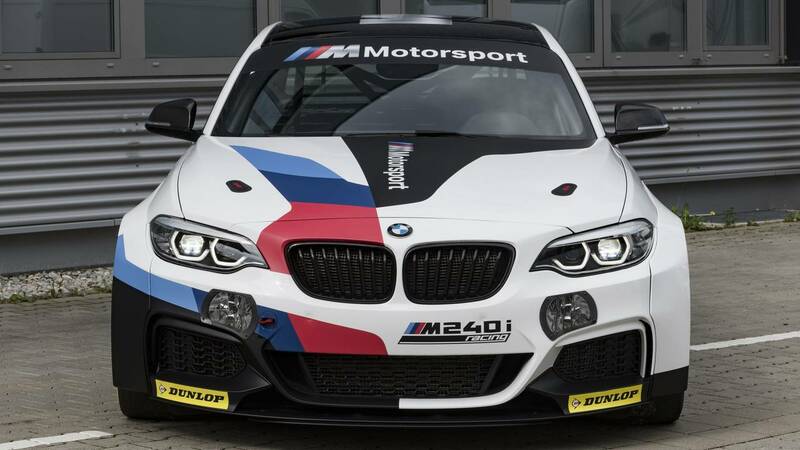 The M2 racer would likely replace the M240i Racing Cup. The upcoming BMW M2 CS may spawn a track-honed racing version called the Track Cup, according to a rumor first reported by BMW Blog. The M division's engineers might even push this competition variant's 3.0-liter twin-turbo engine to around 470 horsepower (351 kilowatts), instead of the expected 445-hp (332-kW) output from the road car. Compared to the roadgoing M2, the Track Cup racing version would likely have a stripped out interior, adjustable suspension, more aggressive aerodynamic components, and revised brakes that can withstand extended use on a circuit. Since it wouldn't make much sense for BMW to offer two slightly different 2-Series-based race cars, the new M2 Track Cup likely replaces the existing M240i Racing Cup (gallery above). The vehicle is the German automaker's entry-level, factory-produced track vehicle, and it competes in events like the VLN series at the Nürburgring Nordschleife. 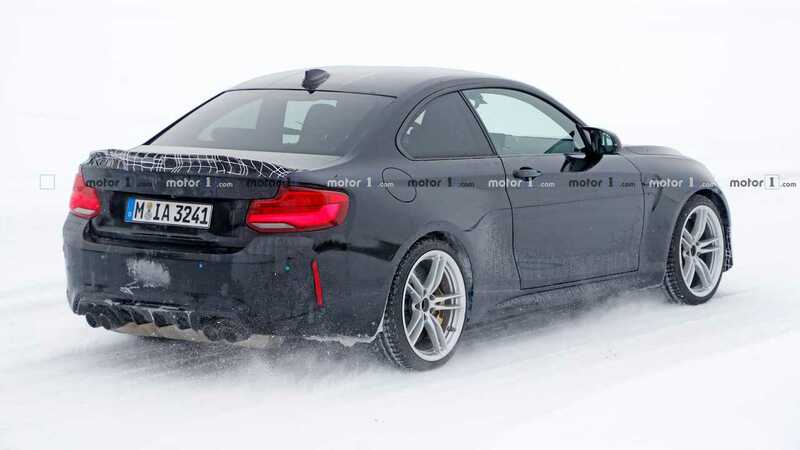 The latest reports about the road-legal BMW M2 CS indicates that the M division takes the existing M2 Competition and makes it even meaner, including adding a carbon fiber roof. Spy shots (above) show there's a much more aggressive front fascia, a prominent rear diffuser, and large trunk lid spoiler. A set of forged 19-inch wheels with Michelin Pilot Sport Cup 2 tires should provide plenty of grip. A dual-clutch automatic gearbox or manual transmission would be available, and buyers could allegedly specify optional carbon-ceramic brakes, too. 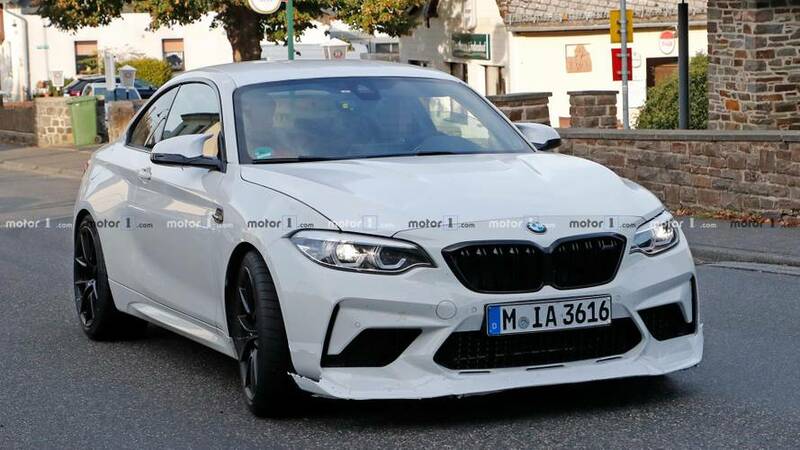 Look for the M2 CS to debut in 2019 and be on sale in time for the 2020 model year. The lack of any teasers suggests that BMW isn't unveiling the sporty model at next week's Geneva Motor Show. If this rumor about a racing version is true, look for it to debut after the road-legal model.